White Wave Chapel is Available Now on iTunes. Customers inside the USA or Canada will have to wait unfortunately as The North American release date will be later this spring hopefully. Click our link to the right to go straight to iTunes to download now. We are pleased to announce to you all that White Wave Chapel will be on the shelves of the following Dublin stores from tomorrow morning, Tower Records, Celtic Note, and Claddagh records. The Irish Times will be streaming the album from their site from tomorrow so have a taste if you like before you go out and buy it. iTunes downloads will be available from Saturday. Finally physical copies can be ordered from http://www.idrawslow.com for customers outside of the US and Canada from today. BLEND OF IRISH FOLK AND AMERICANA NEVER TASTED SO GOOD. 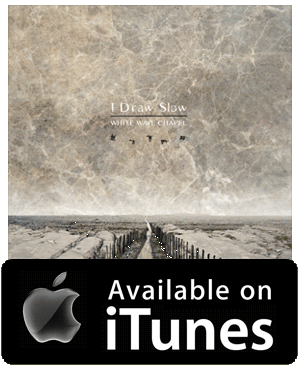 I Draw Slow’s third album sees the Dublin 5 piece successfully blend Irish Folk and Americana, mixing ingredients from bluegrass, trad and country, into a lip-smackingly flavorsome dish. Co-produced by the highly experienced Brian Masterson (Planxty, The Chieftans), White Wave Chapel may have been born in Ireland, but it’s heartbeat comes from high in the Appalachians, as the fiddle swings, the guitar strums and the voices snake around each other like star crossed lovers. When they hit Full flow on songs like the superb ‘All Souls’ or ‘The Captain’, I Draw Slow call to mind the Indigo Girls at their prime, and in folk terms that’s a serious compliment. ‘Don’t You Cry My Honey’ is a pure-blood bluegrass hoedown, while ‘Whiskey Mirrors’ is one minute and sixteen seconds of infectious harmonies, , understated banjo and toe-tapping melody. The incredible ‘Bread & Butter’ dances into your consciousness, a holerin’ and a whoopin’, and practically begs you to sing along, tap your heel or slap your thigh in time. When they slow down, however, the quality remains just as high, as on the beautifully tender ‘Souvenirs’, which is all simple plucked guitar and vocals, or the equally beguiling warmth of ‘Springtime’, complete with divine harmonies. ‘Now You’re Gone’ is an old time waltz, where the Holden siblings, Dave and Louise, get to show off their lyrical prowess, referencing everything from William Faulkner to ‘The Green Fields Of France’, while the delicious, closing ‘Old Wars’ drips melancholy from every syllable. I Draw Slow have rightly been gaining a reputation in international folk circles and White Wave Chapel should see their list of admirers grow, as they manage to meld their indigenous influences with a more international flavor. Great Stuff. 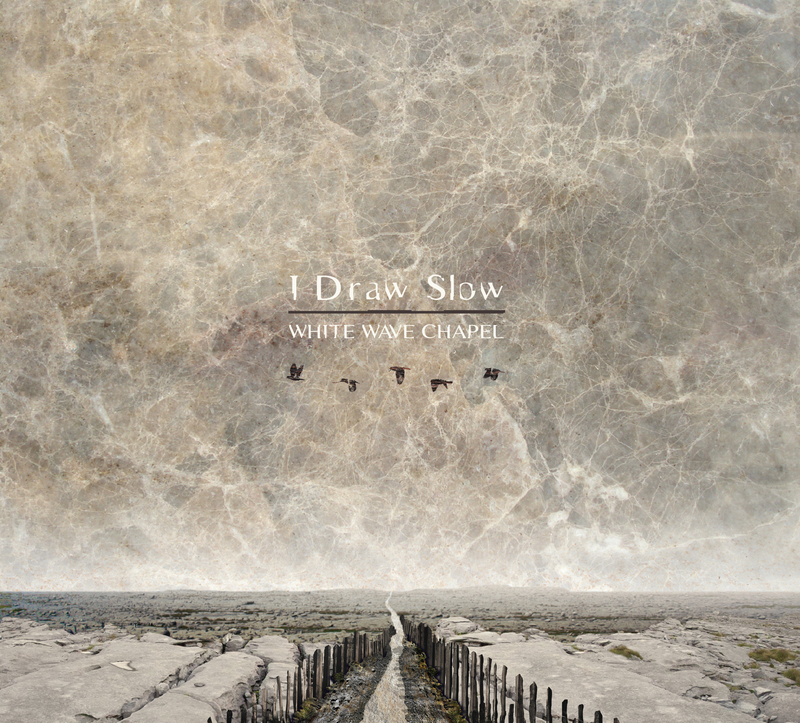 I Draw Slow will be celebrating the release of our new recording White Wave Chapel this Saturday with a live performance on The Saturday Night Show on RTE 1. This Dublin five-piece don’t make mistakes. I Draw Slow showed that they had very definite ideas in their first two albums: old-time Appalachian roots with an Irish edge. White Wave Chapel doesn’t stray too far from this groove — and didn’t have to, because siblings Dave and Louise Holden have penned another 13 exquisite tracks. As before, it is the latter’s voice and its luminous layers that make this so pleasant. Now You’re Gone, The Captain and Valentine, the current single, marginally sneak ahead in terms of musicianship and texture but all of White Wave Chapel is a songbook of accomplishment that is very lovely indeed.